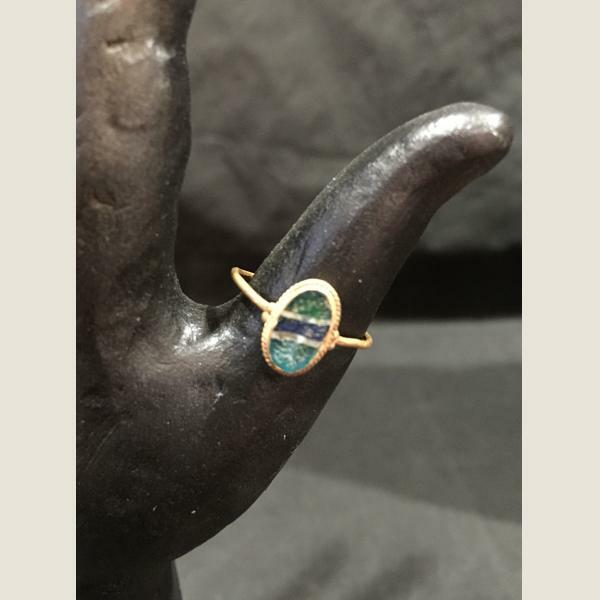 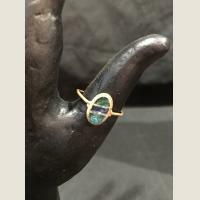 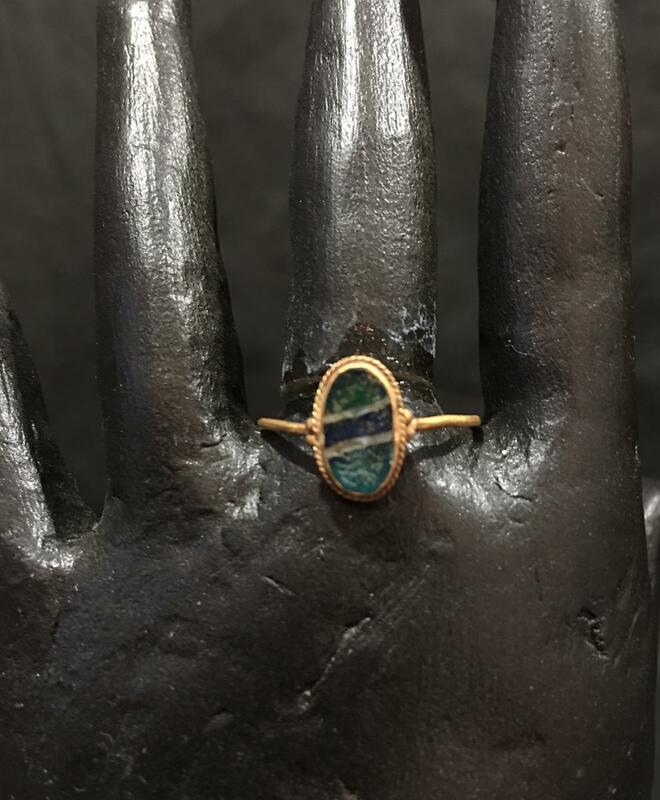 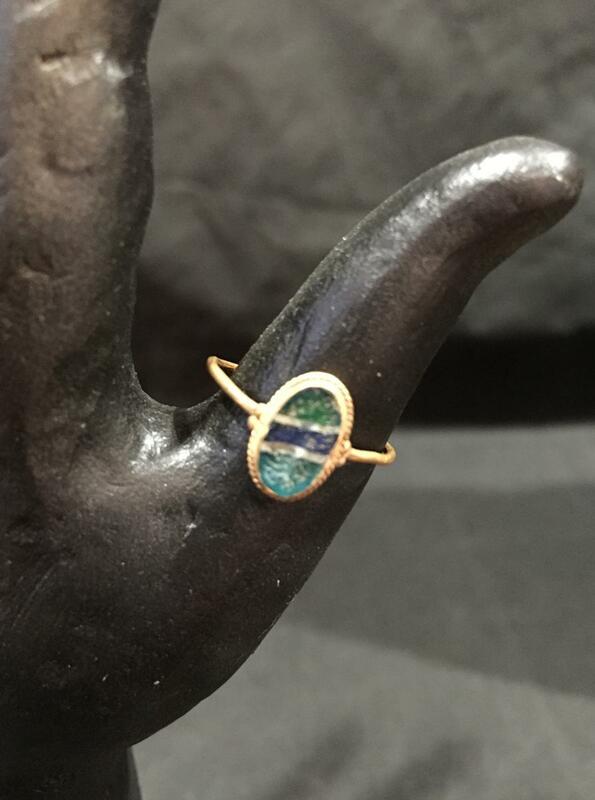 A rare and beautiful Imperial Roman ancient glass intaglio inlay ring in its original gold setting. 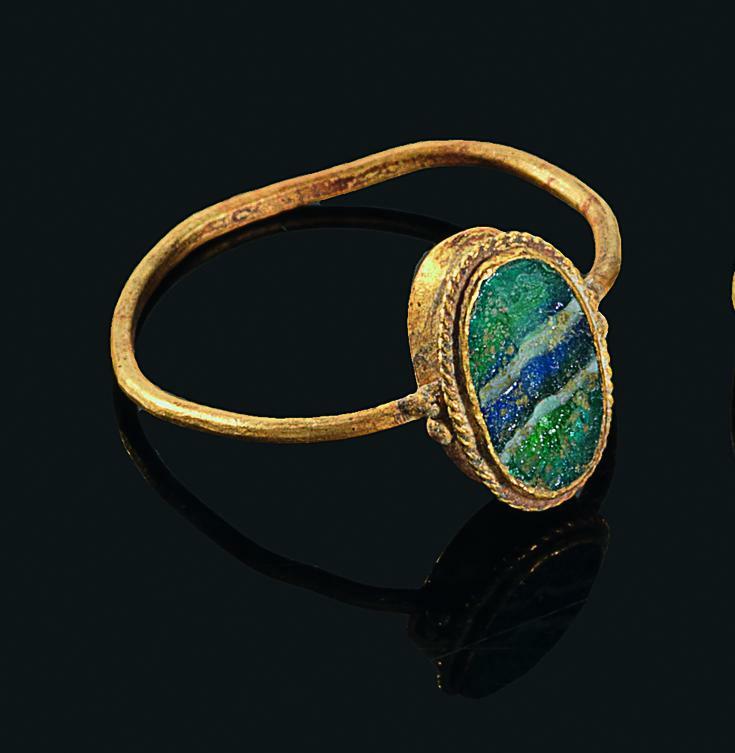 This ring exemplifies the use of glass in ancient times to imitate precious and rare materials. In this case, a rare example imitating a banded agate which was expensive and difficult to work with. A unique and wearable piece with nice iridescence to the glass. 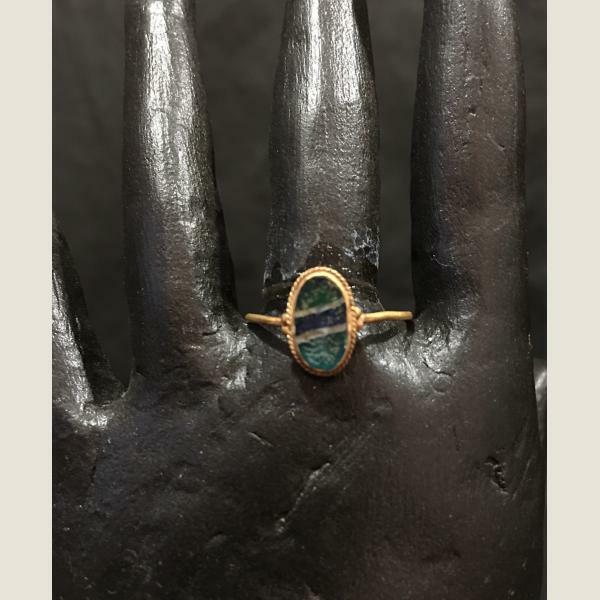 The intaglio has a figure carved on it.